openFATE, the feature tracking tool used in openSUSE has been completely reworked and the new version is live now on features.opensuse.org. A team has started driving the handling of features and we’d like to update you with the current state and invite you to participate. The new version is now live and contains a long list of new features so that features can be handled completely with the new web user interface. The interface uses the new openSUSE Bento theme to fit in better in the openSUSE site family, has several search options to allow the screening team to find features easily, it’s possible to edit all fields and also the product states. Thanks to the openSUSE boosters, especially to Thomas Schmidt, for the new version. The new team has defined a workflow to handle features and described it in the openSUSE wiki. openSUSE Weekly News, Issue 151 is out! We are pleased to announce our new issue 151. We are pleased to announce the Issue 150 of openSUSE Weekly News. openSUSE Weekly News, Issue 149 is out! We are pleased to announce our new Issue 149. Delayed by a week due to a critical bug that would have prevented testing, the openSUSE project today announces openSUSE 11.4 Milestone 3 (M3), the third of six milestone releases of what will become openSUSE 11.4. 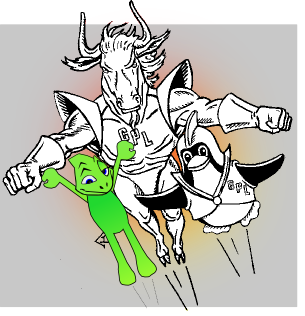 The bug, a crash in the software rasterizer of the Mesa OpenGL stack, was found by our automated test suite and the openSUSE XOrg developers swung into action so that KDE would work on systems without hardware acceleration, which includes most virtual machines. systemd, the alternative init system, becomes available for testing in M3 with version 11. Â ï»¿To test systemd, install it, then reboot with init=/bin/systemd as described by Andreas Jaeger. Otherwise, the existing SysV init is used. M3 includes Gnome 2.32 on the desktop, including metacontact support in the Empathy instant messenger and Banshee 1.8 with Amazon MP3 store plugin,Â KDE 4.5.3, and a number of independent updates including version 0.11 of the Arora browser, the chemistry tool Avogadro 1.0.1 and Licq 1.5, introducing XMPP support to this venerable IM client. At the lower level, Linux kernel 2.6.36 is in, along withÂ smartmontools 5.40 bringsÂ SSD support, and Wireshark 1.4 brings many performance improvements and memory footprint reductions. Due to a new liblzma, delta ISOs from M2 to M3 must be applied using a new version of deltarpm. Â Stephan Kulow provides this in his home:coolo Build Service project. A list of most annoying bugs can be found here. We look forward toÂ your bug reports and test experiences. Automated testing and the openSUSE Factory team have been active to ensure that your download of Â M3 will be at least minimally functional. The next milestoneÂ is scheduled for November 25. Â openSUSE 11.4 is planned to be released in March 2011.
ï»¿ï»¿At Latinoware, a team of openSUSE contributors will come together, not only toÂ promote openSUSE but also to talk with each other about the future plans forÂ the major linux distribution in Brazil. openSUSE has some awesome technologyÂ and great people – both deserve more attention than they get and this is whatÂ the openSUSE ambassadors will talk about! At the conference, you can expect the following talks by openSUSE people:Â A11y: Its about you! by Bryen “suseROCKs” Yunashko, international GNOME andÂ openSUSE marketing and Accessibility expert; and “Why are you here?” by JosÂ Poortvliet, openSUSE community manager for Novell. He will be very friendlyÂ and the talk will feature kittens. On Friday the ambassadors will have a meeting with their international guestsÂ and anyone else who is interested in contributing to openSUSE.